The Casual Vacancy centers on Pagford, a seemingly idyllic English village with a cobbled market square and an ancient abbey. Behind the pretty façade, however, is a town at war; the rich at war with the poor, teenagers at war with their parents, wives at war with their husbands, teachers at war with their pupils. Pagford is not what it first seems. Pagford is a small town in the English countryside that has many secrets. The town seems like it’s perfect, but behind the scenes, everyone is battling someone else. The town council seems to be in the center of all the issues. The topic is what to do with the local community center “Sweetlove House,” a great estate bequeathed to the town by the owner 150 years ago. Currently, it’s the town community center, a run-down child and teen center and methadone clinic serving the needs of the people who love in “The Fields,” the town’s poor area. Half the council, led by Howard Mollison and his wife, Shirley, want to close the center, give it back to the Sweetlove family and let them turn it into a resort and spa. The other half, led by Barry Fairbrother, wants to keep it open, knowing it is the people of The Fields’ only chance at getting help. When Barry unexpectedly dies, his spot on the council becomes the most important vote for the town. Barry’s half-brother, Simon Price, Howard’s son and Barry’s former law partner, Miles, and Colin Wall all throw their hats in the ring to replace Barry. However, an online presence – someone who calls himself “The Ghost of Barry Fairbrother” begins telling all their secrets. 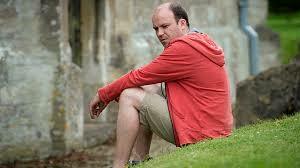 As the campaigning progresses, it gets more and more awkward and Simon ends up dropping out. Meanwhile, in The Fields, resident Krystal Weedon barely survives while taking care of her meth addict mother and her little brother, Robbie. Krystal meets with Colin’s wife and school counselor, Tess, and also begins a relationship with “Fats,” Tess and Colin’s son. The Weedon’s new social worker, Kay Bawden works with Krystal to get her mother back on track and off the drugs. As tensions rise between all the residents of Pagford, families are pitted against each other, and no one comes out unscathed. With the election complete and the council complete once again, another vote is taken and the vote is to close the Sweetlove center and turn it into the resort. Its closure comes immediately, and the residents of The Fields have to quickly adjust. Because of this, Krystal’s mother relapses and Krystal has to find a way to keep Robbie and herself safe. She goes to Fats and tells him she’s pregnant and asks if his mother will take care of them all. When Fats rebuffs her, she goes to get Robbie and finds him missing. Thinking he fell into the river and drowned, she jumps in to look for him and she herself drowns. However, he was taken by Vikram Jawanda, another of the townspeople, whose wife, Parminda, is the town doctor and is on the council. I thought I liked watching this show. However, the more I think about it, the more forgettable it becomes. Don’t get me wrong, the acting was good and the story great, I just think it could have been better executed. I haven’t read the book, so I can only hope that it’s better than what I watched. It wasn’t bad, it just wasn’t for me. With 24 main characters, there were too many stories to follow, too much going on, and at times I wasn’t sure how it was all going to come together. As I sit and try to piece it all together to write this review, I really can’t think of how to do it beyond what I’ve written. The Weedon’s storyline was the most significant and the most memorable. While all the stories were significant, they just didn’t pop out as much as Krystal’s story did. When I heard a miniseries was being made based on the book, I had high expectations, mostly because it is a work by J.K. Rowling and the Harry Potter books and movies are some of my favorites. I had heard so many good things about the book that I looked forward to seeing the television adaptation. Unfortunately, I didn’t enjoy this as much as I thought I would. The direction and the acting were good. I loved the character of Samantha Mollison, Miles’ wife. She brought some humor into what were some very tense situations and seeing her interact with Shirley, Miles’ mother, was funny. She took so much from that mother-in-law from hell, but showed restraint and grace, but for one moment of weakness. Keeley Hawes did a great job in the role and Julia McKenzie was wonderfully passive-aggressive as Shirley Mollison. Michael Gambon was perfectly snobbish and elitist as Howard Mollison. It was such a change from seeing him as the wonderful Professor Dumbledore. Newcomer, Abigail Lawrie was perfect as Krystal. She played innocent and hardened well. I enjoyed watching the actors in this series. The 1080p high definition presentation of The Casual Vacancy was really good. The picture was clear and not at all blurry. Transitions were seamless, skin tones natural and the colors were bright and natural. The Blu-ray really made the English countryside stand out and really made me was to see it in person. It really is a good Blu-ray to watch. 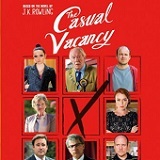 The Casual Vacancy’s English 5.1 DTS-HD master audio was clear, audible and had an even volume. The background sounds and music were not overwhelming and were just the right volume. Dialogue was clear and intelligible and everything was pieced together well. I had no problems hearing anything said. The special features, while not many really helped me figure out who was how, and what was going on. There was so much going on, having these different features helped piece it all together. 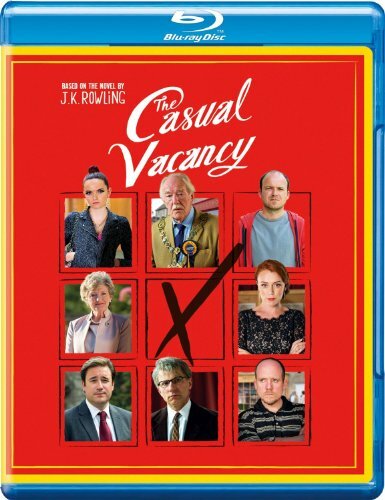 An introduction to the casual vacancy -- An 8 minute summary of the series with commentary from the cast and crew. It really put things in perspective and helped me figure out what was going on. 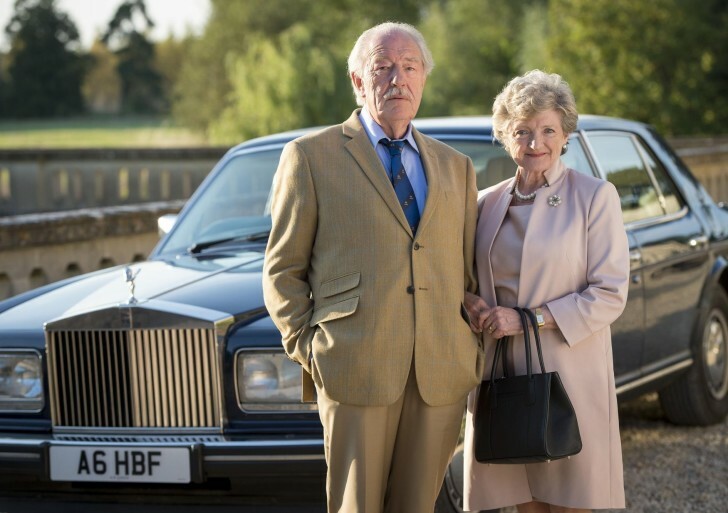 Adapting the casual vacancy – At just under 10 minutes, this feature talked about how the book was adapted into the series. The writer and director talked about choosing the parts of the book to really bring out and which details were going to be built up. 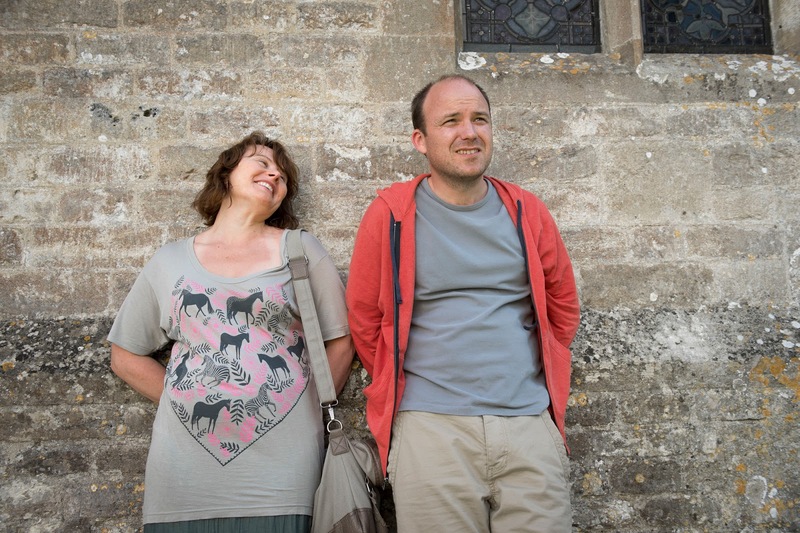 Casting The Casual vacancy – Thirteen and one-half minutes on choosing the right actor for each of the 24 key characters and really making it a true ensemble. Included are interviews with the crew on how the cast was chosen and interviews with the cast talking about their characters. 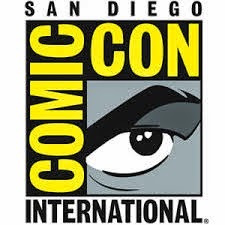 While I didn’t enjoy the miniseries as much as I had hoped, it liked the story and the actors who brought it to life. I do plan on reading the book and rewatching the series though, so perhaps I will enjoy it more then. Fans of J.K. Rowling won’t be disappointed with the story; the execution of the story was just not what I expected. I will give this another chance after I read the book, and look forward to seeing it again from a different perspective.